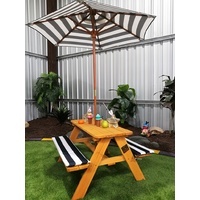 This Children's picnic table is lightweight, portable and functional, with built in bench seating, perfect for your children and their friends to enjoy. 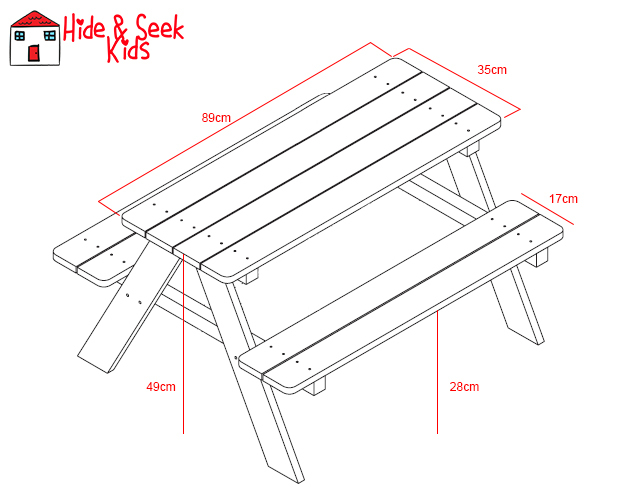 The table is ergonomically designed to make so that kids can naturally climb onto, sit at comfortably and get down safely, to ensure safe regular use. *The picnic table is supplied unpainted although in these images the table has been painted, which is for display purposes only.